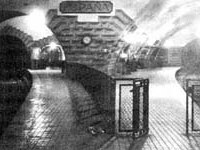 The underground of Barcelona is not only full of tunnels and metro stations where thousands of people are using them every day but also some forgotten ones lost inside the subway network of Barcelona. 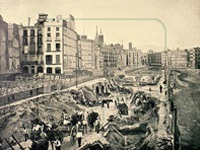 The first works to build the metro of Barcelona started in 1920 and 4 years later, the city inaugurated its first line called the “great metro”. 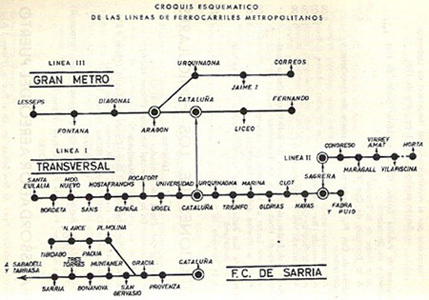 Most of those ghost stations date from the spanish civil war like you can see on the picture below, a map of the metro of Barcelona dating from 1966. After looking at it, you may notice that it was very simple and now you may wonder which ones are considered as the lost stations !!! 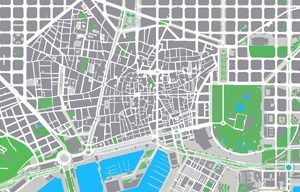 Well, there are 10 stations which include 9 metros and 1 RENFE. Now I will tell you its names and in same time, I will give you more details for each one so ready to get bored !!! The L3 green line: fernando. This line was the “great metro” and the fernando station, in catalan ferran, was inaugurated on april, 15 1946 and like you can see on the map, it was the terminal. The point is that this metro was very close to the liceu station, just about 150 meters and the exit/entrance was near to the ferran street, in fact just where is the McDonald. In 1968, a new station was built called drassanes and it was decided that the fernando station would be closed to the public at the same year. The L3 green line: travessera. If you take the metro from the diagonal metro to the fontana station, you have noticed that it is a long way so to solve this issue, there was a project to build the travessera station but to do it, some buildings must be destroyed. 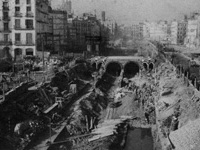 It was said that some small works have been done before that the project was cancelled due to the complicity of the area. The L4 yellow line: banc. The banc station was built in 1911 between the urquinaona and the jaume I stations so if you take a quick and good look on the map, you will see that this section was a branch line of the L3 because the L4 was created in 1926. If you paid attention to what you read, you should say something like “hey… wait a minute… if the network metro started to be built in 1920 !!!”. The point is that this station was created after that the City Hall finished to build a long tunnel below the via laietana street for the future metro project of 1920. It is located below the antoni maura square and where is the Caixa de Catalunya office, before it was the headquarters of the Bank of Spain hence the name of the station. The tunnel and the station were opened but not to the public because it was said that the station would only be used by the bank to send/receive money from the different future metros by using a special train. 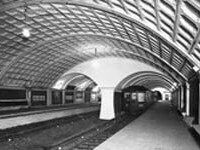 At the end, the station was never used and in 1925, the tunnel was integrated with the L3 to extend the network. The L4 yellow line: correos. 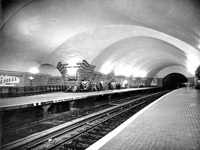 During its inauguration on february 20 1934, the station was small because it was planned to be used temporary and to be removed once the project of the line would reach the frança station. Finally, it was decided otherwise and they made some works to increase the space which finished in 1948. In 1972, it was closed in order to allow the extension of the line until the barceloneta station. Actually, if you go near the entrance of the post office on the antonio lopez square, on the right side, you will see on the floor a big grille which was the entrance/exit of the station. The L1 red line: bordeta. 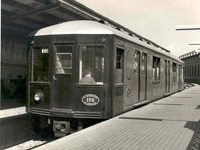 The original name of the line was “transversal” and it was the second one to be built and inaugurated on june 10 1926 (take note that the actual L1 was created in 1929). This station was an exterior one and only in 1932, it went underground but in 1983, it was closed because it was near to the new and renovated santa eulalia station. The L1 red line: santa eulalia. 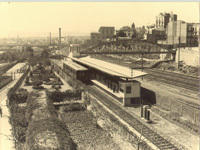 This station, also known as bordeta cocheras, was inaugurated on july 1 1932 and it was closed in 1980 in order to construct the extension of the line. The actual santa eulalia station is a new one and inaugurated in 1983. 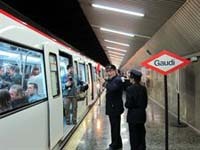 The L1 red line: españa. This station was inaugurated in 1929 for the universal exhibition and it is the same one like the actual one. 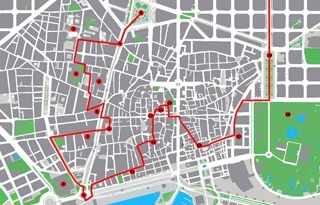 The only difference is that since its inauguration until 1975, there were 3 tracks used for the public and nowadays, only 2 and the 3rd one is to park the trains although there are some stories saying that this track was used for military purpose connecting the square to the Montjuic castle. The L1 red line: universidad. This station was inaugurated on june 10 1926 and it was located in a different place than the actual one with the same name. 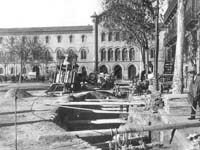 The station has been moved in order to allow the construction of the RENFE tracks between the catalunya square and the sants station and at the end, it was closed in 1971. The new one was inaugurated on december 23 1972 with 2 levels, very near to the old one. 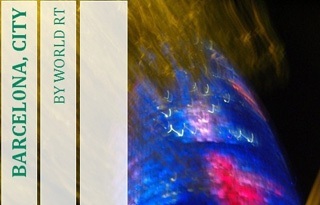 The L5 blue line: gaudi. The line was inaugurated in 1959 and may be one day this station will be used because it is pretty well kept clean in spite that it was built in 1968 and also because sometimes, some shows, exhibitions… are organized. In fact, it was never inaugurated because it was planned to extend it and due to a finance issue, it was cancelled. Located between the marina and lepant streets, just below the sagrada familia station, it should be used originally for the L2 to connect with the L5. The initial project was to unify this station on the L5 to the la pau one and on the L2 to the horta one but finally, it was decided to unify the horta station to the sagrada famila station on the L5 so the City Hall decided to not open it. If you walk on the gaudi avenue until crossing the lepant street, at the left corner, you should see one of its entrances. 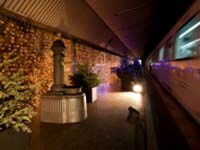 There is another one, located near to the sagrada familia station, but the access to the outside was never finished. 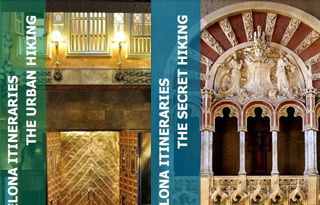 If you take the metro from the sagrada familia towards the horta and you look carefully, you may spot it or if you are lucky, it will be decorated and the metro will cross it. RENFE: bifurcació vilanova. This train station was part of a project planned during the 70’s which consisted to create 3 big station in Barcelona (sants, clot-aragó and bifurcació vilanova). In fact, this station should replace the north station but since it was never inaugurated, the plan was cancelled. It is located under the meridian avenue, near the auditori and the TNC buildings, and it should connect with the L1 marina metro station. In the beginning of 1990, one of the platforms was destroyed in order to allow the construction of other tracks and tunnels but the other one still exists and sometimes is lighted.